Depreciation when it comes to property is based on the value of the land after improvements are calculated into the value. While land itself cannot be depreciated, in order to make any property depreciation calculations you must know the base value of the land in question. While an appraiser can give you the valuation, you can determine the value beforehand simply by using a comparable sale method. Using this method, you estimate the value based on the idea that your land is worth the same value as a comparable piece of land. It’s just a matter of finding the comparable land. Contact a real estate agent in the area and ask after the locations of recently sold property in the area of the same size as your property. Find a property with the same zoning restrictions as yours to ensure that it was restricted to the same uses as the property for which you’re finding the land value. Make certain the comparable property is undeveloped. Check with the local water authority for water rights on the comparable property. Make sure the rights on the comparable property at the point of sale were the same as those on your property. Check with utility companies to determine what utilities are available for the comparable property, compare property availability with those on your own piece of property and discard any comparable properties not fitting your property’s availability exactly. Check with the clerk of court in the county where the comparable property is located to get a copy of the latest property survey. Compare the property’s road access with your own, as well as the amount of undeveloped land covered by vegetation and the mineral rights possessed by the land owner. Toss out any possible comparable properties that are different from your own in these aspects. Use the sales price for the comparable property that most closely resembles your own as the land value for any depreciation calculations made on your own property. 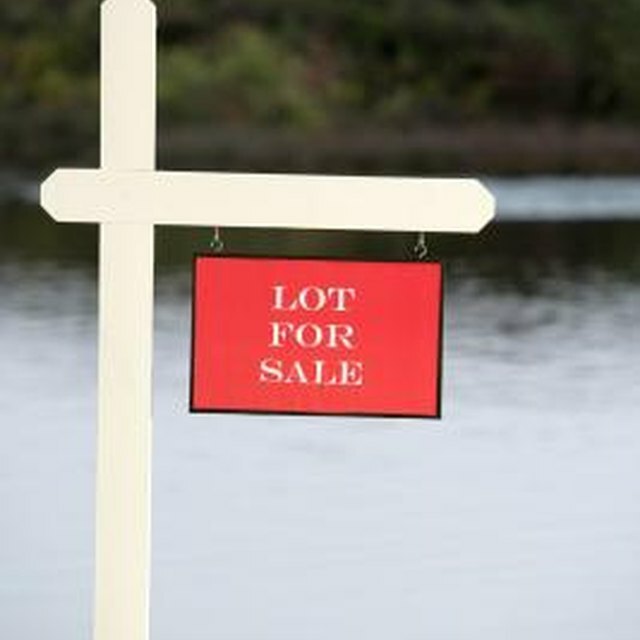 Verify your land valuation by hiring an appraiser to appraise the land after you complete your estimation.